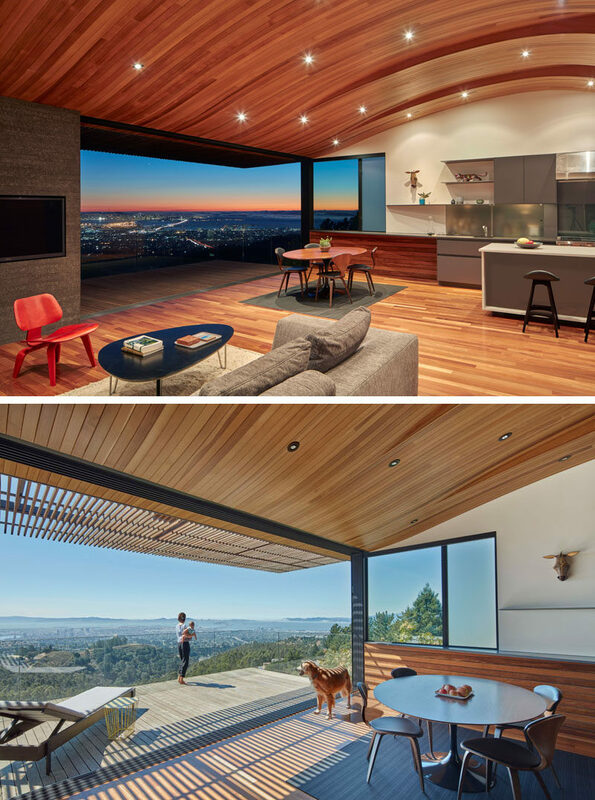 Terry & Terry Architecture designed this two-level family home in Oakland, California, that opens up to reveal spectacular uninterrupted views San Francisco Bay and the Golden Gate Bridge. Located high on a mountain range, the original house was re-built after it was destroyed during a fire storm. 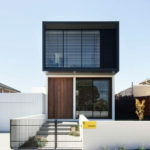 The updated house features a wood tube that connects the garden with the main entrance of the home, and continues through to the living areas. 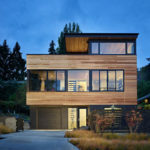 A large blue front door acts as the main entrance, however the kitchen has a large sliding glass door that opens to the small garden area and allows for outdoor dining, with a concrete planter and bench defining the dining area. 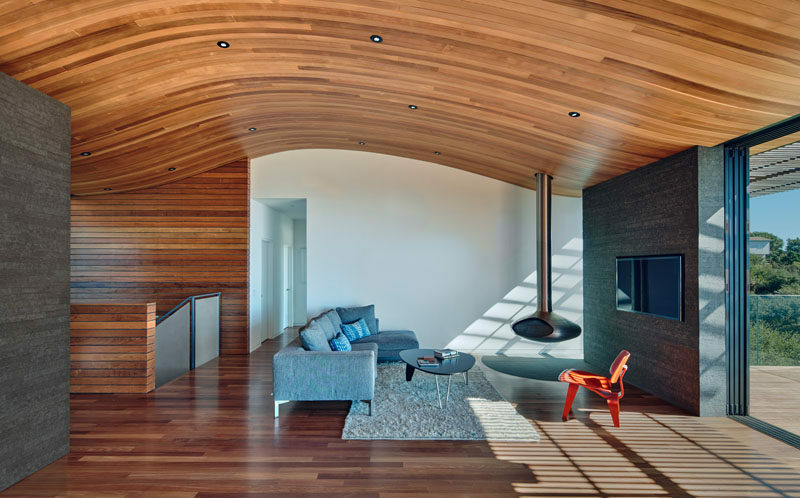 Inside, an unexpected feature of the interior is the wood ceiling that has curves that echo the contours of the hillside that the house sits on. The main floor which is home to the kitchen, dining room and living room, opens up to a balcony with glass railings. 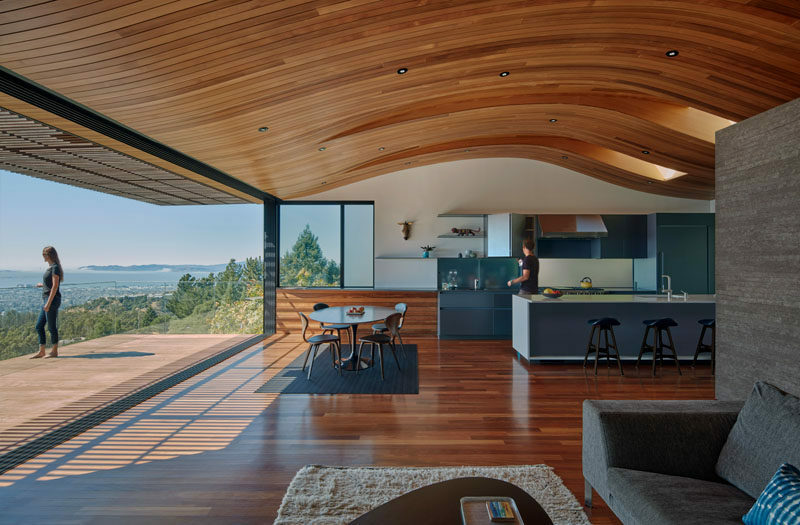 Here’s another look at the wood ceiling from the kitchen. 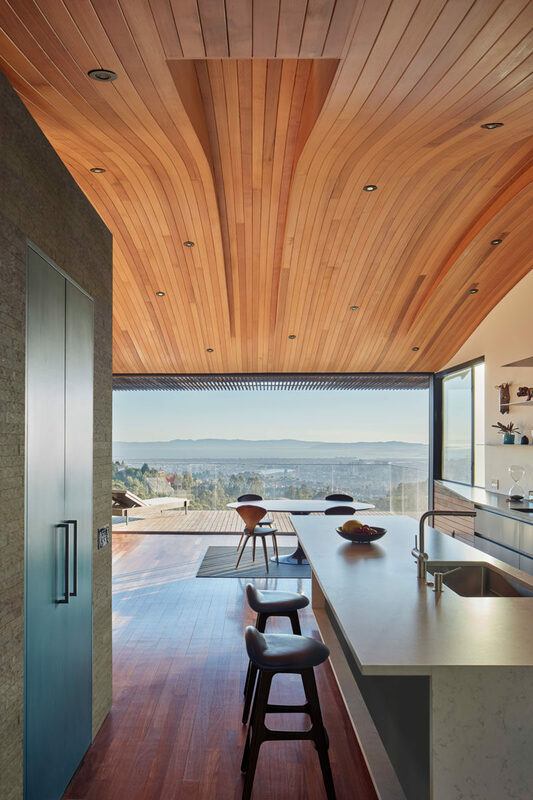 The long sections of wood help to elongate the interior and draw your eye to the balcony and view. The ceiling continues through to the living room, that features a hanging fireplace. 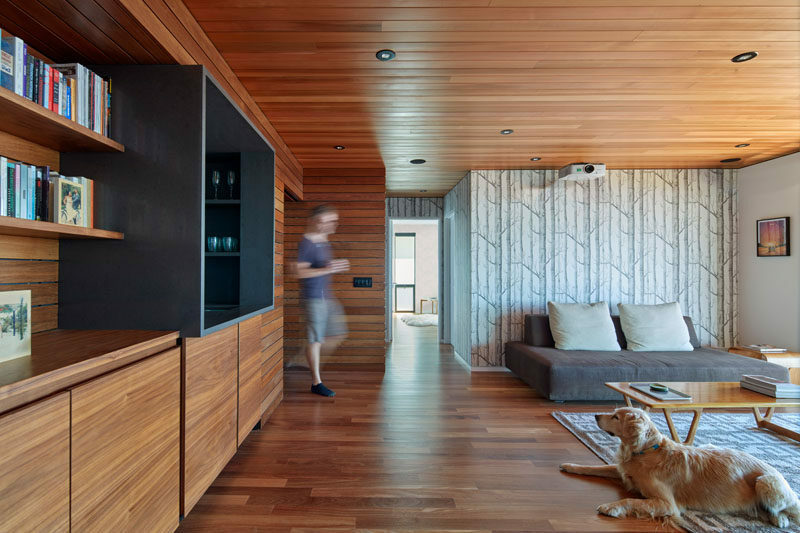 From this angle, you can see that the sliding glass doors pocket into the wall with the tv. Also on this floor are two bedrooms and bathrooms. 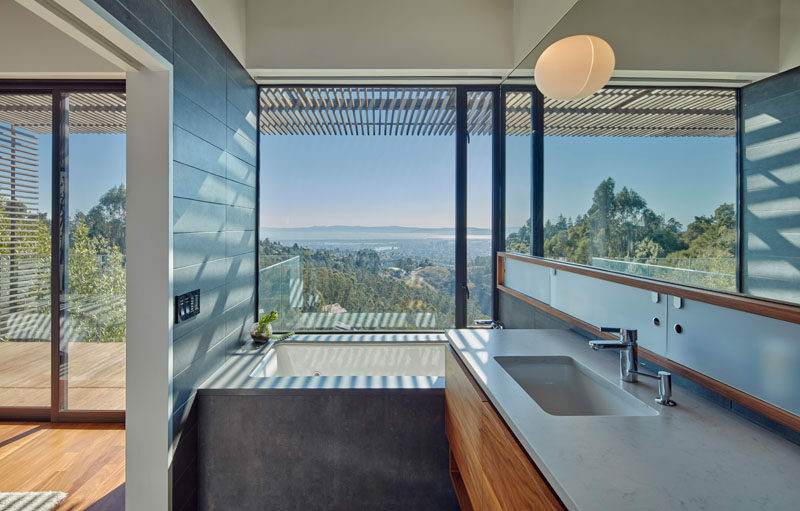 Here’s a look at one of the bathrooms, with the bath perfectly positioned to take advantage of the views. Just off the living room is a new staircase that’s surrounded by the same wood at the front of the house. On the lower level of the home, there’s a bedroom, bathroom, media / projection room and an office. If you’re interested, here’s a look at the cross section of the house and the floor plans of both the main level and the lower level.